If I were in charge everything would be okay. People would do I want them to do, and since I generally care about some people, some people would be better off for it. I would have everything I think I need, really hard stuff wouldn’t happen, and easier hard stuff I’d keep around to make myself sharp. I’d have no reason to worry and I’d feel fulfilled. If I were in control. That’s what I want to believe. More importantly, that’s what trusting in control has me assuming. Too often my life is based on that “if.” I tell myself: If I were control, I’d have what I need to be okay. But, control is a lie. It’s an illusion. None of us are really sure what everything being okay would look like. We can’t even a little bit grasp how to make everything okay for everyone at the same time. I’m even sure that we are incapable of consistently choosing the best for others, no matter how good our intentions may be. There’s a reason for this: we’re sinners. If we were in control, sin would be reigning. Because, let me repeat, we’re sinners in a world skewed by sin. That we aren’t in control is actually a blessing. What trusting in our own control really comes down to is trusting in an illusion instead of trusting in God. Illusions aren’t sustainable and can’t function fully. They are, at best, lies. The poverty and riches rejected here are examples of forms of control we are deceived by. Isn’t it often in gaining riches of information, money, relationships, etc., that we believe we gain control over our lives? But wisdom here is clear: these forms of control are elusive illusions. We don’t actually need them. They can’t actually offer us fulfillment or make life okay. It doesn’t matter what we gain control over: it won’t be enough. We do well to ask only for our daily bread. To have only our daily bread is to have only what we really need to live well. Notice also that our daily bread is given. Specifically by the one who is in control of everything. Seeking control over more than our portion is seeking to have something more than what God has given. This conveys that in our hearts, we don’t find God to be enough. Through this, we deny the reality of God’s perfect control over everything. When we live in pursuit of a false power like control, we stop living in pursuit of the Lord. We’re deceived into believing that what we’re going to gain will be enough or will justify our sinful means. But the “end,”or the “reward” of control, is disappointing. 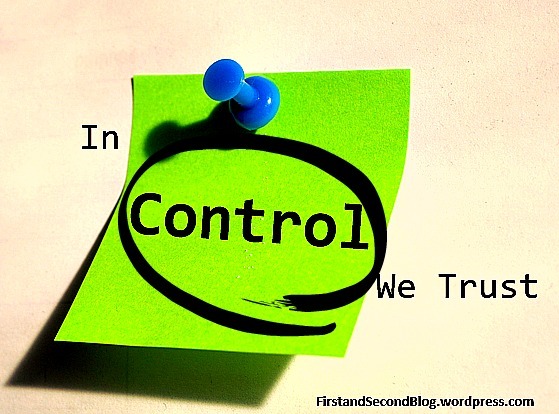 Because ultimately, trusting in control means trusting in ourselves. I don’t know about you, but I really disappoint myself when I get what I want. It’s crushing when at the end of all that toil, all I get is more of what I already have: worries, concerns, responsibilities, weaknesses, and sin. That’s the stuff we’re made out of, folks. Unless we’re stuffed full of Jesus. Unless He’s reigning on “our” thrones. Unless we recognize that when we fight Him for control we’re trying to take over a ship we don’t know how to steer. And don’t know the course for. Or the goal. Take a breath and let it go. Thank Him that He knows where we’re going and how to get there. Thank Him that our daily bread is enough. Praise Him that we don’t have to live by elusive illusion, but can live abundantly by faith. Praise Him that He has got all of it under control, so we don’t have to. He guarantees it will all be more than good: it will be perfectly completed in Him! For the next few weeks, guests will be writing each Monday on something (or someone) we tend to trust in besides God. As you know, I struggle with wanting to be in control too, but you’re right- it is an illusion. And it is very freeing when we can manage to let go and let God take control. I have to remind myself that he can do a much better job than I can. So freeing! I remind myself of that often, too. Thanks for encouraging me, Carly! I’m so looking forward to your related post! Oh Lord, may You change my heart so I never again say You are not enough! I learned recently that it is our sense of lack that drives us to want to control. Adam and Eve had it all but the serpent gave them doubt saying there was more. They got caught in the illusion that God was not enough! I know I still get caught in that illusion too, often the illusion fo in money I can trust (feeling a lack). And other things. It’s a battle but thankfully, we are victors in the end when we keep God’s pathways as our focus. Sense of lack is a great way to phrase it, Lynn. Yes…money is big one for me too. So thankful to know He wins and guarantees we get to participate! Thanks Angela! That ship is so how I feel sometimes. I feel like I’ve got hold of the helm, and then panic as I frantically try to figure out what to do with it and why I wanted it in the first place. Thank the Lord for grace and for teaching us foresight!! Bethany, this concept is so important for us to internalize because it’s a true reflection of the reality that no one wants to look at. Thanks be to God that we trust the sovereign God who truly IS in control of everything. I nearly spit my coffee out reading the first paragraph! So me! I’m guilty of this! Especially in parenting. Maybe it’s my last stronghold of control. But it, too, is an illusion. I cannot control my kids, but I must point them toward the One who controls all! Great post today! Blessings! I hope I didn’t cause a mess, haha!! I wanted to edit that first paragraph to sound better. But honesty wins. Glad I’m not the only one! Amen. Let’s point everyone we try to control to the one who controls all! Ouch! “But the “end,”or the “reward” of control, is disappointing. ” I think of my daughter’s wedding. Everything ran like clockwork. But I was “in control” even though we had a reception coordinator who was doing a fabulous job. And I was so busy running around behind making sure things were done that I missed out on really enjoying and celebrating the day. I learned a valuable lesson about control that day. The reward was definitely disappointing. What a tough way to learn this lesson, Christa! I’m sorry for the disappointment but glad that the Lord reminds you of this truth so that you can enjoy and celebrate more freely now. Great example!! “What trusting in our own control really comes down to is trusting in an illusion instead of trusting in God.” This is so true. 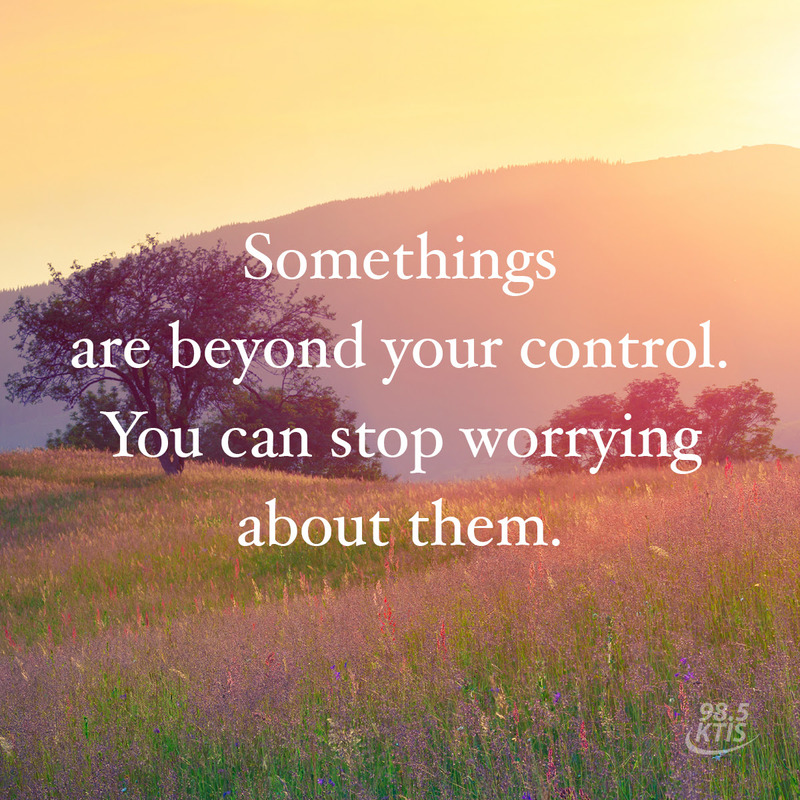 Even when we think we are in control, we are not, really. God is always in control. He loves us and knows what is best. May he help us to trust in Him always! Thanks for sharing at #LMMLinkup! Blessings to you! Good stuff! Pointing out the truth, I mean. This goes right along with what God is trying to teach me right now in some simultaneous situations in my life. Thank you for sharing this! I know I already commented on this, but I just had to revisit this post. It’s got to be one of the best I’ve read for the year 2016. So many good insights, and I still have progress to make here.